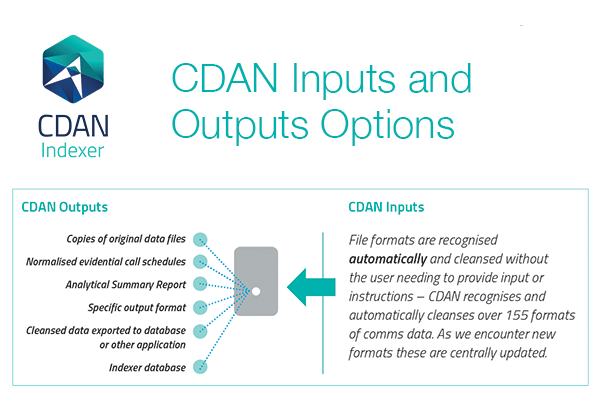 CDAN Indexer, our automatic comms data and phone download solution, played a significant role in shutting down a county drug line earlier this month. Kent Police used CDAN Indexer to uncover a huge amount of previously buried intel that was then used in support of their application for DDTRO (Drug Device Telephone Restriction Order); the additional information uncovered using CDAN Indexer allowed the officers in the case to increase the witness statement that supported their application from 11 to 28 pages of evidence. CDAN Indexer has so far been the only solution able to achieve this level of operational support as part of a multi-force initiative around digital forensic indexing. Read more about the damage inflicted by so-called ‘county lines’ gangs, who often exploit children and vulnerable people with mental or physical health issues. Watch a BBC Wales documentary about this growing issue. Contact us to find out how CDAN Indexer can transform your investigations.